ColorBok 12 inch textured cardstock paper pad is perfect for all your paper crafting projects. 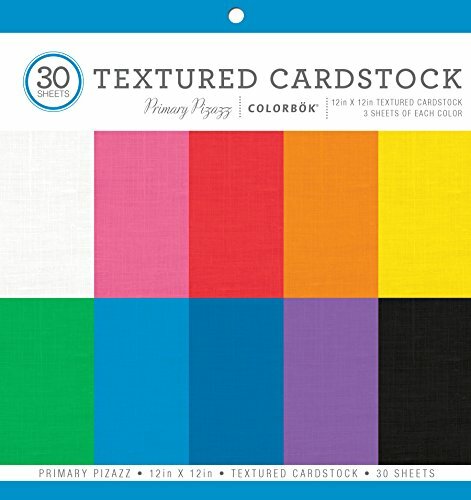 It contains 30 sheets with 6 sheets of 5 different Primary Pizazz colors. 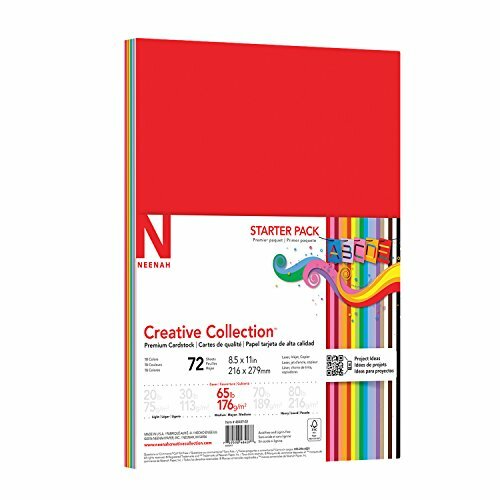 ColorBok 12 inch smooth cardstock paper pad is perfect for all your paper crafting projects. 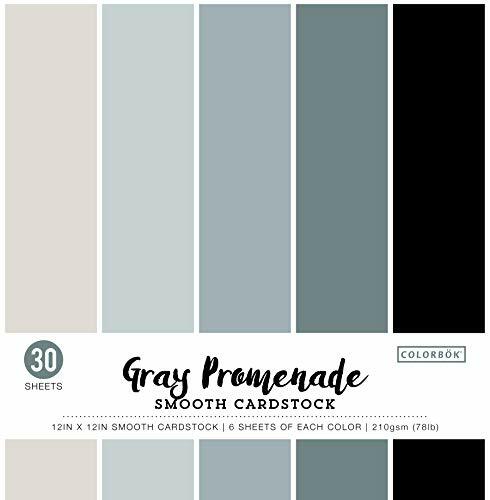 It contains 30 sheets with 6 sheets of 5 different gray Promenade colors. ColorBok 12 inch smooth cardstock paper pad is perfect for all your paper crafting projects. It contains 30 sheets with 6 sheets of 5 different Neutral colors. ColorBok 12 inch textured cardstock paper pad is perfect for all your papercrafting projects. 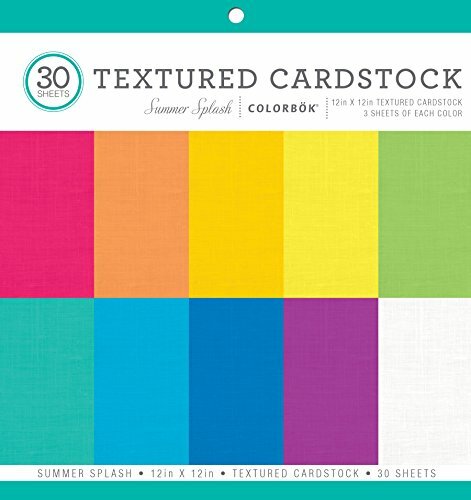 It contains 30 sheets with 6 sheets of 5 different Summer Splash colors. 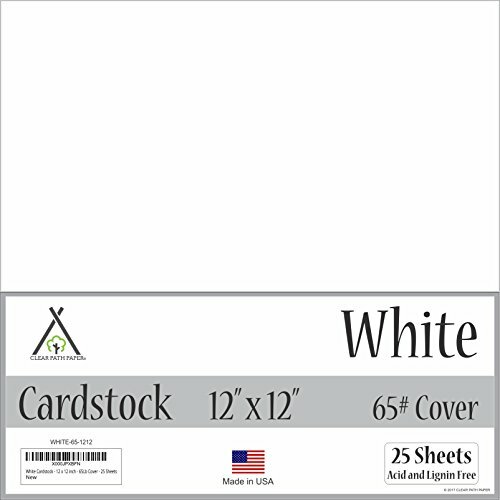 Thank you for considering Clear Path Paper's White Cardstock - 12 x 12 inch - 65Lb Cover - 25 Sheets for your craft project. You'll find our paper works well for scrapbooking, card making, and other paper crafts. This Cardstock is Solid Core Solid Core means no white center. Cut it, tear it, rip it any way you want and ALL of the cardstock will be the same color. 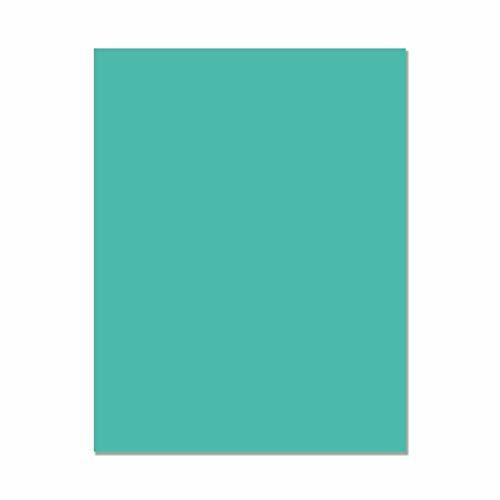 Some cardstock is white core, some use a colored core that doesn't match the top and bottom of the sheet, but this Cardstock is solid color from top to bottom. Our careful attention to detail, means consistent results for your projects Sheet to sheet, pack to pack, year to year, our colors remain the same. Our careful manufacturing results in consistent colors for you. And, our color scans are as close to exact as can be. Careful attention to detail makes our color swatches the most accurate available. In the Spring of 2017 we worked hard to improve how our product is represented here so that you can be confident in your purchases, and we believe our swatches are the best available. Clear Path Paper cardstock is offered in a variety of thicknesses. Read the information below to determine the weight that is best for your project. 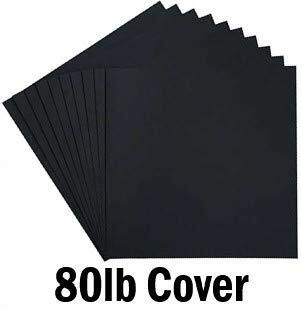 65LB Cover to 80LB Cover Medium weight paper used by crafters - great for scrapbook pages and card making Easily cuts in most die cutters Similar to the thickness of a regular greeting card Generally printable in laser and ink jet home printers Heavier Weight 100lb to .012" to .024" .012" thick is commonly called "poster board" .024" thick is extra thick or heavyweight Pre-score before folding, to avoid cracking on the fold or uneven folding Will not print in most home printers. 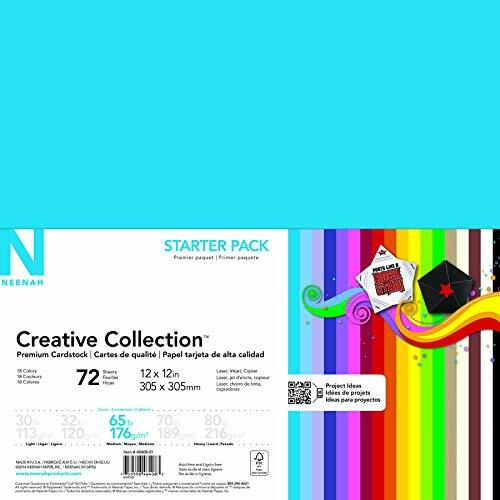 ColorBok 12 inch cardstock paper pad is perfect for all your paper crafting projects. It contains 30 sheets with 6 sheets of 5 different Marble colors. 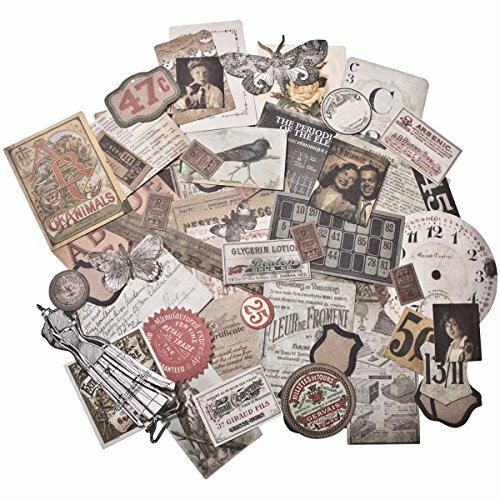 Tim Holtz Idea-ology deisgned Thrift Shop Ephemera Pack features a curated collection of salvaged elements used for layering. 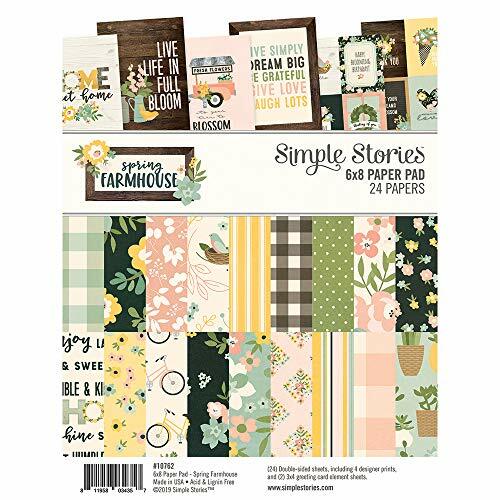 This Thrift Shop theme features 54 dye-cut printed pieces including vintage inspired butterflies, signs, certificates, calendars, floral arrangements and more. 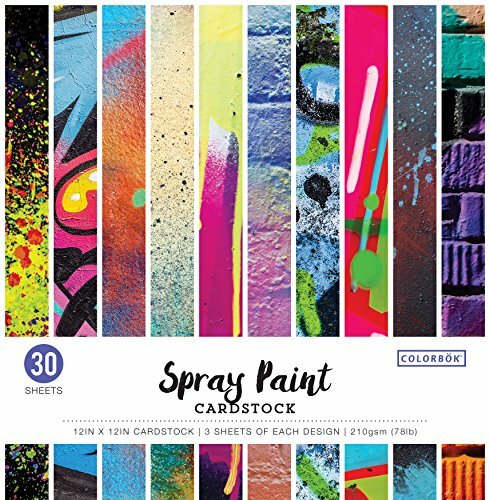 Create unique layers with this ephemera that can be painted or inked. Brand: Tim Holtz Idea-ology | Manufacturer: Advantus Corp. 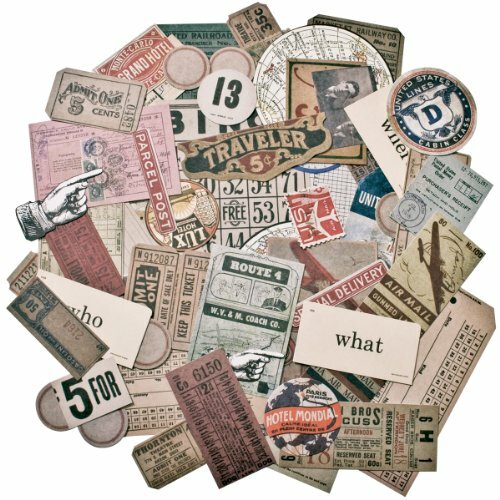 Designer Tim Holtz has teamed up with Advantus to offer his Idea-ology line of unique paper craft embellishments, papers and tools with a vintage appeal. Each Ephemera pack contains a variety of unique items that match with the given theme. Embellish and enjoy!. Create fun designs to record baby's milestones with these Disney Classic Pooh Firsts Die-cut Cardstock. Features Pooh, Tigger, Piglet and more 100 Acre Woods friends. Non-adhesive. Includes 66 -piece. Package size 4-3/4 x 7.49 in. 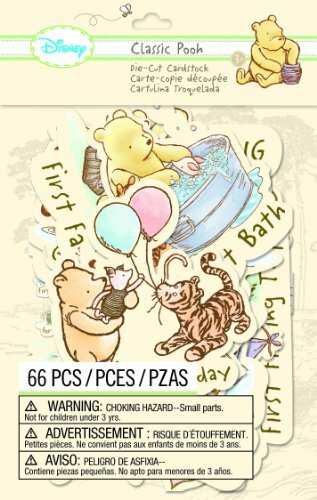 Create fun designs to record baby's milestones with these Disney classic Pooh firsts die-cut cardstock. When you need to stand out with bold, high-impact color in a durable cover weight, Astrobrights Colored Card Stock is a brilliant choice. It's thick enough to stand up to frequent handling and the rigors of postal machines, yet it's smooth enough to work with inkjet and laser printers. Since this unique colored paper is highly saturated, it offers a bright background for your creativity to come to life. Easily create dazzling postcards, booklet covers, presentation bindings and paper crafts. Brighter colors. Brighter ideas.TM Can't decide on just one high-impact color? 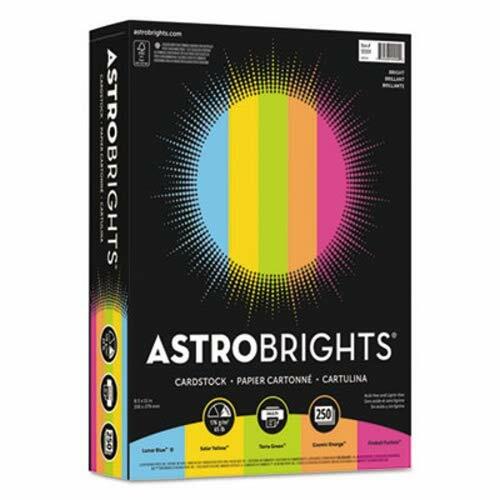 With the Astrobrights "Bright" Assortment, you don't have to. In each pack, you'll get five, single, solid colors. Get ready for your most creative ideas to really take off when you pair it with Astrobrights Color Paper for a unified and consistent look to your project, or pair it with other Astrobrights Colors or Neenah Bright White Card Stock for a bold, brilliant impact. According to studies conducted by the American Paper Institute and the Color Marketing Group, color increases written information retention by 18 percent, improves readership by as much as 40 percent; and for direct mail, color increases response rates by up to 20 percent. Size: 8 1/2 x 11; Paper Color(s): Assorted; Paper Weight: 65 lb/176 gsm; Sheets Per Unit: 250. 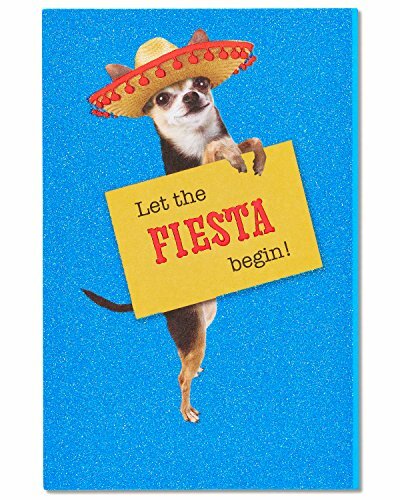 Get the birthday fiesta started with a superfun Greeting card! this eye-catching design features a photo of an adorable Chihuahua in a sombrero, shiny Red foil accents and a sparkling Blue glitter background. It s the perfect way to wish them a Mucho good time on their birthday! Front Message: Let the fiesta begin! Inside Message: Wishing you a mucho good time on your birthday! American Greetings funny birthday greeting cards offer something hilarious for all the amazing people in your life, like this birthday card featuring a fun chihuahua photo, shiny red foil and sparkling blue glitter to make it more fun! Share funny birthday cards with everyone you know, including this chihuahua-themed card for her, for him, for kids or for anyone who deserves a laugh, such as a friend, co-worker, classmate, daughter, son, sister, brother, mom, dad, niece, nephew, grandson, granddaughter and more! Make birthday wishes last with a funny belated birthday greeting card! This bright and celebratory design by justWink features a cute bear and colorful graphics embellished by soft flocking. It s the perfect way to remember their birthday, no matter how late! American Greetings offers exceptional greeting cards, gift wrap and celebration products so you can connect in ways that fit your personality and authentic style. Front Message: Now that everyone else's birthday wishes have worn off, here's a great big one from me! Inside Message: See? I'm not late. I'm just helping stretch out the celebration. Happy belated! Stretch out birthday wishes with belated birthday cards by justWink! 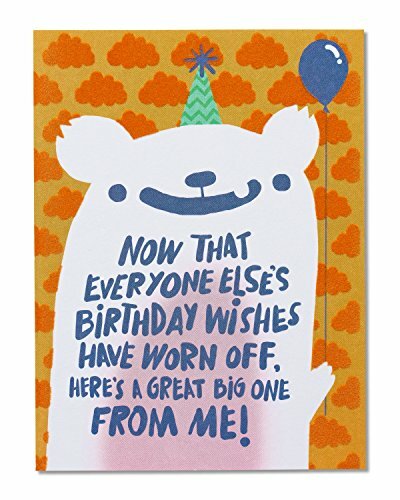 This bright and cheerful birthday card features a cute bear holding a balloon and a sweet and humorous, hand-written message. Clouds with fuzzy orange flocking fill the background. It's never too late to celebrate with Happy Birthday greeting cards for the amazing people in your life! Share cool birthday cards from justWink with your favorite friend, a boyfriend, girlfriend, relative, cousin, co-worker, close family, mom, dad, brother or sister - perfect for her, for him and for kids, too! 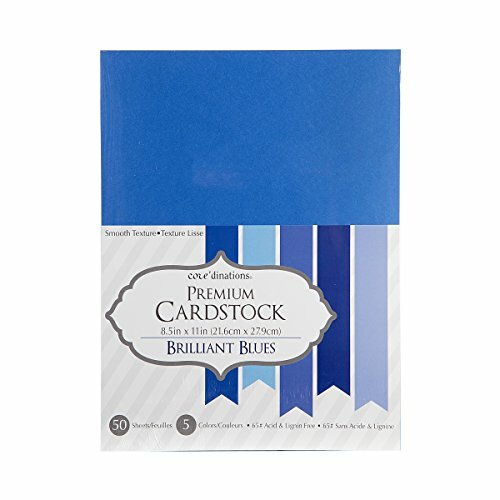 Core'dinations-Value Pack Cardstock: Brilliant Blue. 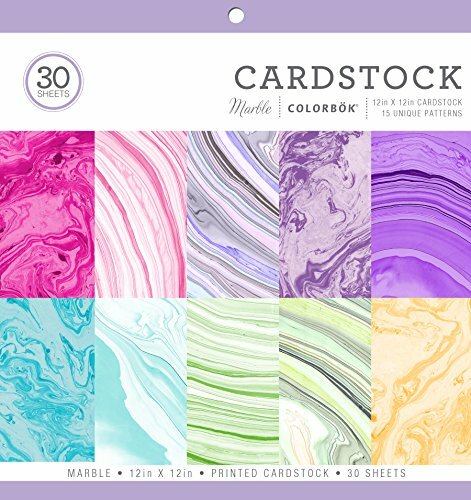 The perfect start to your cards scrapbooks and more! This package contains fifty 11x8-1/2 inch smooth texture sheets in five different shades of blue (ten of each). Acid and lignin free. Imported. With Hamilco White 12x12 Cardstock Papers! 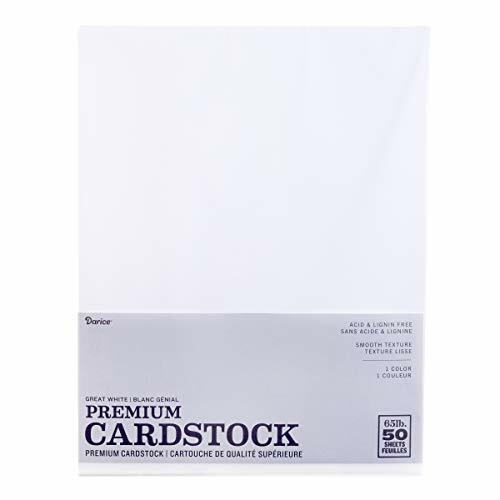 The Hamilco cardstock 12x12 white paper 25 pack is the way to go. See? There is no need to search anymore! You are all set. sturdy. durable. thick. multipurpose. easy to use. What are you waiting for? Hamilco cardstock paper set is backed with 30-Day unconditional Refund Policy, for your peace of mind. 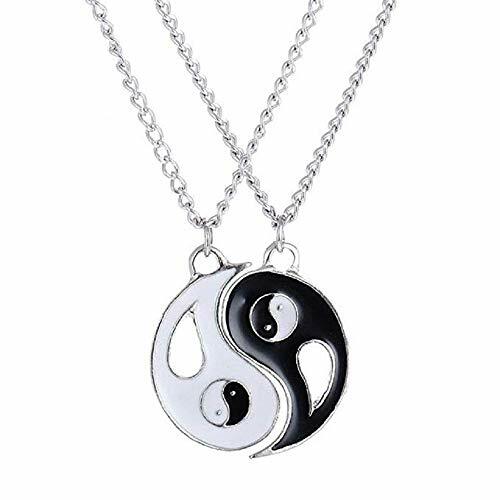 Click Add To Cart NOW To Get Yours! 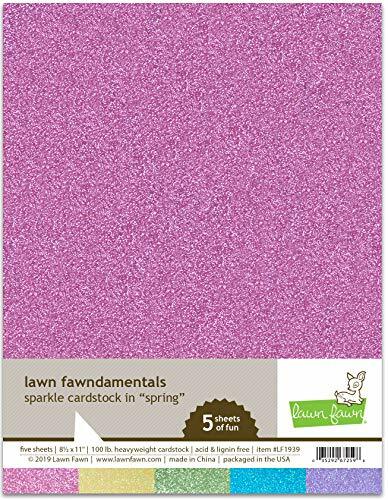 GREAT PRICE for SUPERIOR QUALITY cardstock - We use highest quality, thick, Acid Free, and durable paper, MADE IN USA, and we are very low priced. HIGH QUALITY VIBRANT PRINTS - When you print on Hamilco cardstock. Your Prints will look professionally printed. IDEAL FOR LASER, INKJET & COPIER PRINTING. MULTIPLE USES - Excellent for Scrapbooking, Crafts, Stationary and more. Works great as a backing mount for a photo or invitation. Cuts easily by hand or machine. 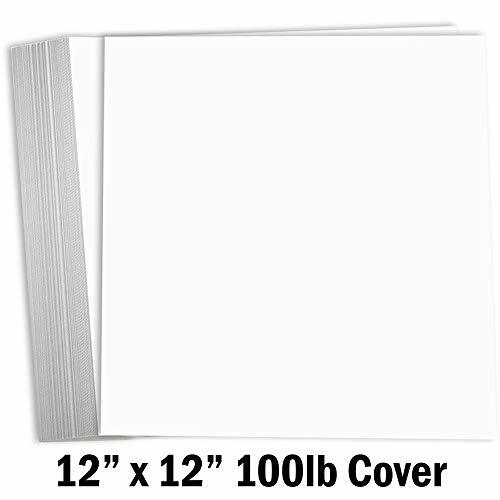 12 x 12, 25 Pack, Heavyweight, 100lb cover cardstock, 216 GSM Bright White with full 98 Brightness. With Hamilco 12x12 Black Cardstock Papers! 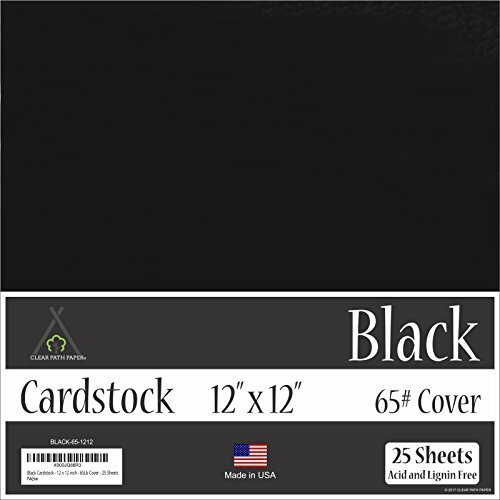 The Hamilco cardstock 12x12 black paper 25 pack is the way to go. See? There is no need to search anymore! You are all set. Touch the cardstock and feel its smooth, thick, and plush surface. Imagine it in your scrapbook, how smooth your calligraphy pen will write on it. Ideal for both personal and professional use. Hamilco Black cardstock paper set is backed with 30-Day unconditional Refund Policy, for your peace of mind. HIGH QUALITY VIBRANT PRINTS - When you print on Hamilco cardstock. Your Prints will look professionally printed. IDEAL FOR LASER, INKJET & COPIER PRINTING. NOTE: When printing on black paper, You have to change the black ink to white ink. MULTIPLE USES - Excellent for Scrapbooking, Crafts, Calligraphy, or Chalkboard. Works great as a backing mount for a photo or invitation. Write on it with gold or silver metallic markers for a unique look - 12 x 12, 25 Pack, Heavyweight, 80lb cover cardstock, 216 GSM. Let all the grads, newly engaged couples, new parents, and new homeowners in your life know you're sharing in their excitement with these assorted congratulations cards. With appealing designs and blank interiors, each of these cards is a perfect accompaniment to a graduation gift or a perfect money or gift card holder. There's nothing like a handwritten note to commemorate starting an exciting new chapter in life, and these cards are a great way to express your excitement or pride. The Hallmark brand is widely recognized as the very best for greeting cards, gift wrap, and more. For more than 100 years, Hallmark has been helping its customers make everyday moments more beautiful and celebrations more joyful. Say congrats to a friend on a promotion, wish a graduate well, or send best wishes to new homeowners with one of the celebratory congratulations card in this convenient set. 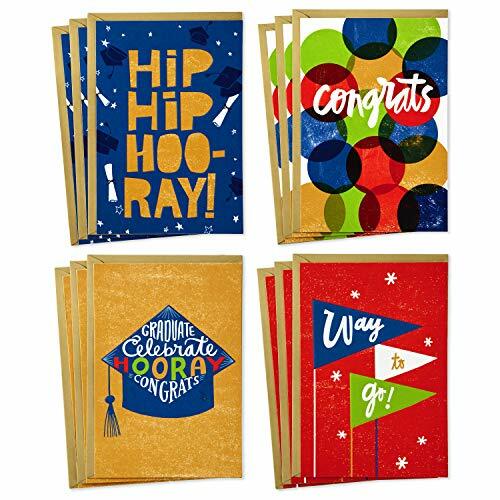 Graduation of congratulations card pack includes 12 cards in four different designs including a graduation cap, hip hip hooray!, Congrats, and Way to go lettering. Don't be caught unprepared for your next grad party, housewarming, or bridal shower. Convenient pack saves money and time spent hunting for the right card at the last minute. Pack includes 12 cards (3 of each design). Congrats cards measure 5 x 7.2 and come with coordinating envelopes. Printed on high quality paper stock, Hallmark's eco-friendly greeting cards are made with paper from well-managed forests. 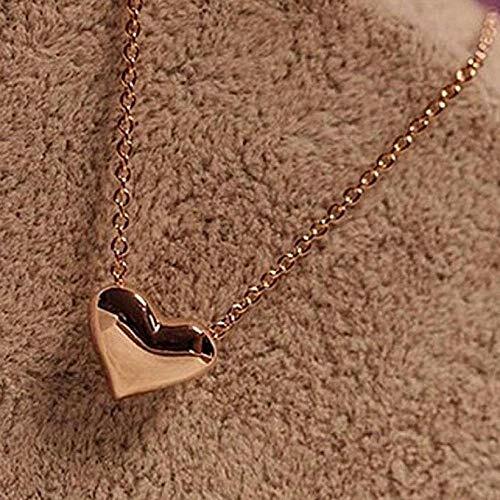 Satisfaction 100% Guaranteed:Click"FAVOT" for more new fashion style items;If you any have problems about our items,please feel free to contact us.Provide satisfactory response within 24 hours. 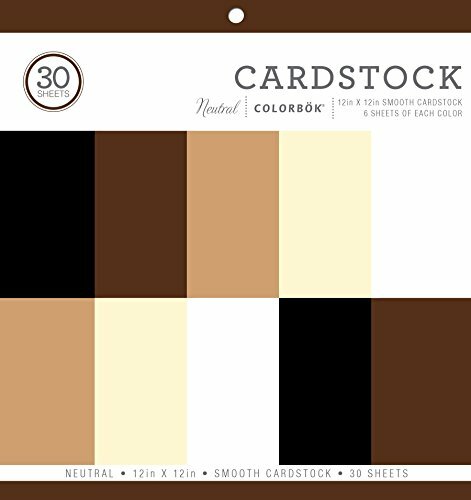 This pack of cardstock is perfect to begin your next layout, project, or card-sending occasion. 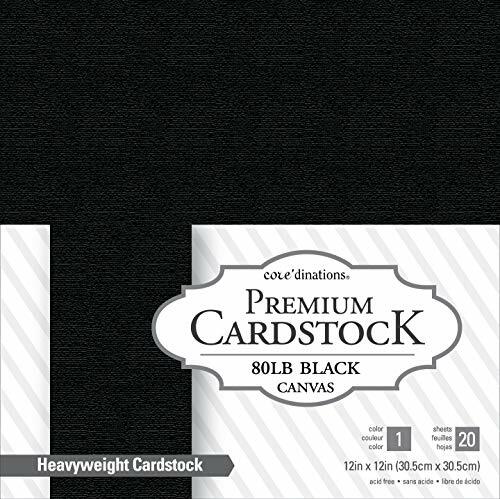 This value pack gives you plenty of cardstock to use on any project, and is very high quality. Materiale: Alloy. Size:Time Fitting Diameter:20mm Length: 40cm/15.7"
Package of 10 sheets of Paradise Hero Hues 8.5" x 11" cardstock by Hero Arts. Heavyweight 100 lb solid core sheets perfect for stamping. Smooth and thick, ideal as a card base. Made in the USA from Green Seal Certified and carbon neutral mills.